As you reach the end of the continent, the rugged landscape becomes wilder and wilder, finally crumbling into thousands of rocky islands. Tierra del Fuego is a region of moss-covered forests, craggy mountains and winding fjords, to be explored on a wilderness trek, cruise, or by 4x4. There is adventure enough here to set any explorer's soul alight. 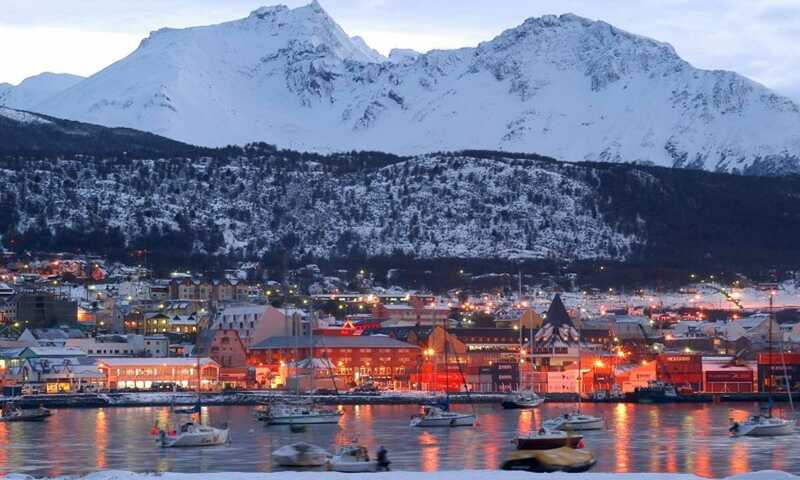 Ushuaia - the Southern most city in the world. Argentinian Tierra del Fuego: Nestled between the mountains and the Beagle Channel lies the southernmost city in the world, Ushuaia. Spend a few days enjoying the scenery, museums and day trips out to see penguins and sea-lions, or base yourself here to explore the huge Tierra del Fuego National Park, where you can explore the wilderness on foot or by taxi. 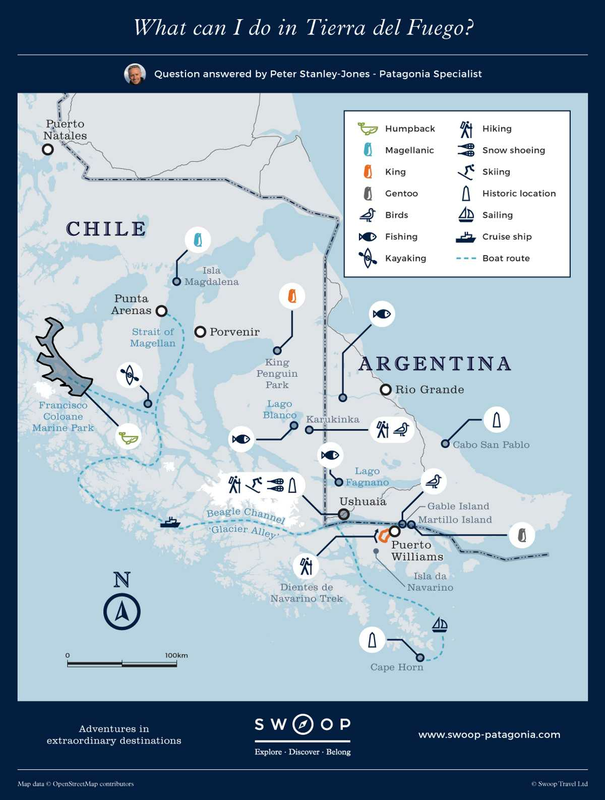 Chilean Tierra del Fuego: Visit the iconic Cape Horn, or see the most remote glaciers and mountains on a cruise through the Chilean Fjords. If you're looking to get out into unexplored territory, the hiking on Isla Navarino and Chile's national parks is some of the most remote and challenging in the region. Those who dare are rewarded with spectacular views and a solitude not easily found on the tourist trails. Most of Tierra del Fuego is rugged and remote, and best explored either on foot or by boat. There's no better way to feel immersed in the scenery than by forging your own trails on day hikes, or sliding over scree and boulders on a more challenging multi-day trek. 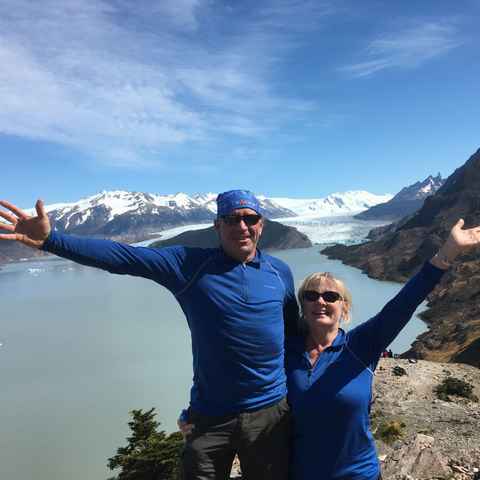 If you're looking to return to a comfortable bed each night but be out exploring by day, the adventure cruises that wind through the Chilean Fjords can take you to some of the most spectacular scenery, without scrimping on the quality of food or your night's rest. The emphasis really is on adventure, expect to be off the boat and immersed in the scenery as much as possible. In the hubs of Ushuaia and Punta Arenas you'll find hotels to suit all different types of traveller, from mountainside spas to backpacker hostels. The smaller towns of Porvenir and Puerto Williams are only at the beginnings of their tourism journey, and although you'll be able to find a place to sleep, accommodation is still basic. To immerse yourself in Fuegian culture, consider a lodge or estancia, often situated next to lakes or on huge ranches, where you'll really feel like you're off-the-beaten-track. There's lots to do around Ushuaia, but Tierra del Fuego is vast and it's well worth getting off-the-beaten-track to discover some of the stunning landscapes around the island. Adventure cruises can take you where cars can't venture, and the multi-day hiking into the wilderness is some of the best in the region. What can I do in Tierra del Fuego? Humans have been living in Tierra del Fuego for 10,000 years, in indigenous tribes highly skilled at fishing and hunting. The most famous are the Yaghan, who lived along the coast of the Beagle Channel and fished from canoes, carrying small fires with them on the water. The name Tierra del Fuego (Land of Fire) was given by famous Portuguese sailor Ferdinand Magellan, who explored the island in 1520 and noticed the small fires all along the shore. For the next 400 years sailors hunted whales and seals here, but it wasn't until 1826 that in-depth documentation of the area began. Then, the Beagle set out on its exploratory expedition carrying a young Charles Darwin, and naval captain and explorer FitzRoy. The ship was the first to sail all the way through the Beagle Channel, giving the stretch of water its name, and Darwin's many observations on geology, flora and fauna would later inform his theories on the origin of species. Throughout the 1800s, missionaries and settlers colonised the island, with disastrous effects for the indigenous people. Through conflict and disease, numbers decreased significantly, and the Yag'han and Selk'nam peoples all but died out. Later, a short-lived gold rush drew adventurers from all over the world, who congregated in small settlements that would become Ushuaia, Porvenir and Rio Grande. This region is split between Chile and Argentina, and roads between them are few. There are a few airports that serve the region well, but again, flight routes tend not to cross between the countries. The numerous waterways make cruising or sailing one of the best ways to make the most of your travel time down to the end of the world. Summer is between December and February, and brings warmer temperatures, longer days and slightly better chances of clear skies. Even in the height of summer though, the weather down here is highly unpredictable. Be prepared with raincoats, layers, and to be buffeted by the famous Patagonian wind as it swirls around the island. As high seasons dies down from March to April, the crowds disperse and you'll have the sights almost to yourself. The autumn colours come out, and the forests are covered in reds, golds and oranges. In winter, when a thick layer of snow covers the rugged landscape, ski resorts open and winter sports become the main attraction. The remoteness of Tierra del Fuego was incredible, we didn't see another boat for 3 days. We saw a lot of wildlife - penguins, dolphins, seals, albatross, condors. Many thanks for making my unforgettable experience in Tierra del Fuego possible. The land is one of a kind; the only regret I have that I was not able to go for more days! The catamaran trip east down the Beagle Channel was a spellbinding introduction to the region; dramatically beautiful with wind-whipped blue sea flanked by snow-capped rugged mountains; island hopping to view sea birds, penguins, seals etc very rewarding. We flew down to Isla Navarino which was fabulous. Lakutaia Lodge was a great base with an amazing location overlooking the Beagle channel. We took a boat trip around to Wulaia Bay which was fascinating. These are no ordinary cruises. With the emphasis heavily on adventure, every day you'll be out and about exploring the treasures hidden deep in the Chilean Fjords.